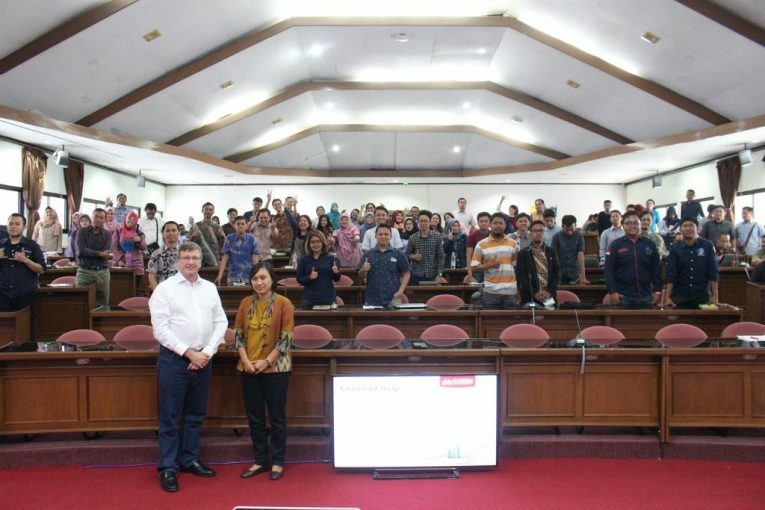 Yogyakarta, Thursday, September 13, 2018, Master of Science and Doctoral Program FEB UGM held a guest lecture at the BRI Auditorium. The guest lecture themed “Doing a Literature Review” by Prof. Noel Scott, a professor, and a deputy director at Griffth Institute for Tourism, Griffith University, Australia. Prof. Noel Scott interest in Tourism and he often writes papers on that field. He also taught several courses such as Tourism Management, Sustainable Tourism Management, and Destination Management. The moderator of this event is Yulia Arisnani Widyaningsih, M.B.A., Ph.D., a lecturer at FEB UGM. This event that lasted for 120 minutes was attended by doctoral students as Ph.D. Training even though some master and bachelor students also interested in attending this event. At the beginning of his presentation, Prof. Noel Scott stated that doctoral student life is very diverse, from feeling joy to sadness. They are required to finish the study that is compatible with their study planning time and must complete their dissertation. Conducting a research begin with reviewing the literature to find what is interesting in this research field. If students face the difficulties in this step, they will get more difficulties on the final work. Therefore, this event aimed to guide the students on how to conduct a literature review. Before discussing a literature review, Prof. Noel Scott emphasized that doctoral students must have a contribution, especially on a literature contribution based on their research project. The literature review is a valuable way to find information from various topics. The literature review actually is divided into two types: a narrative literature review and a systematic literature review. Both have differences in terms of the question, source, selection, evaluation, synthesis, and inferences.